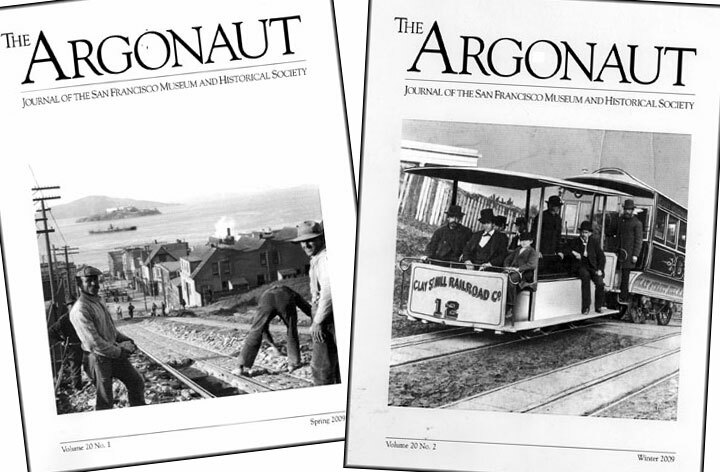 The San Francisco Museum and Historical Society has been publishing The Argonaut since the spring of 1990. Now into its 21st volume, articles from the back issues are being added to the FoundSF archive. Pages in category "The Argonaut"
The Origins of Bay Area Transportation, or Do You Know the Way to San Jose?